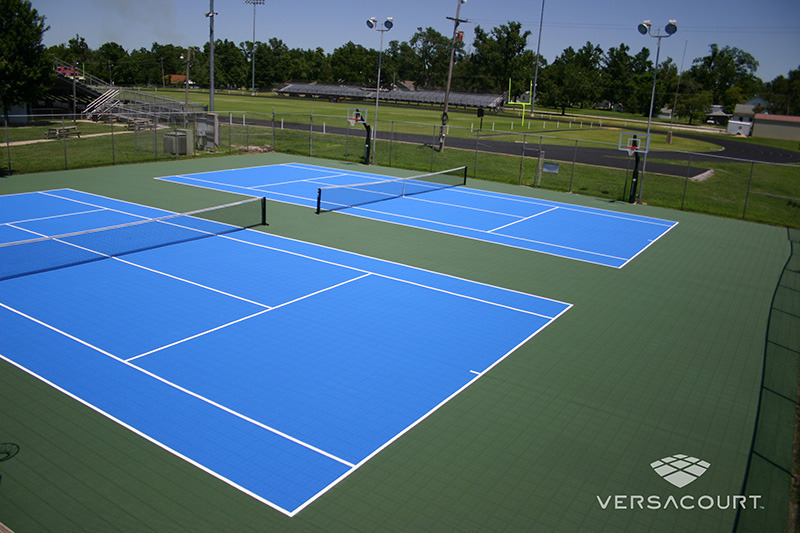 As an authorized dealer for VersaCourt Game Courts, onelawn® has the surfacing materials and training needed to service all of your racket sport and tennis court construction needs. 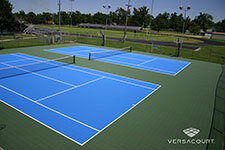 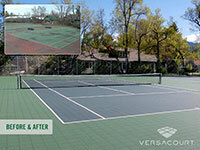 We utilize the VersaCourt court tile system to build or resurface existing tennis courts. 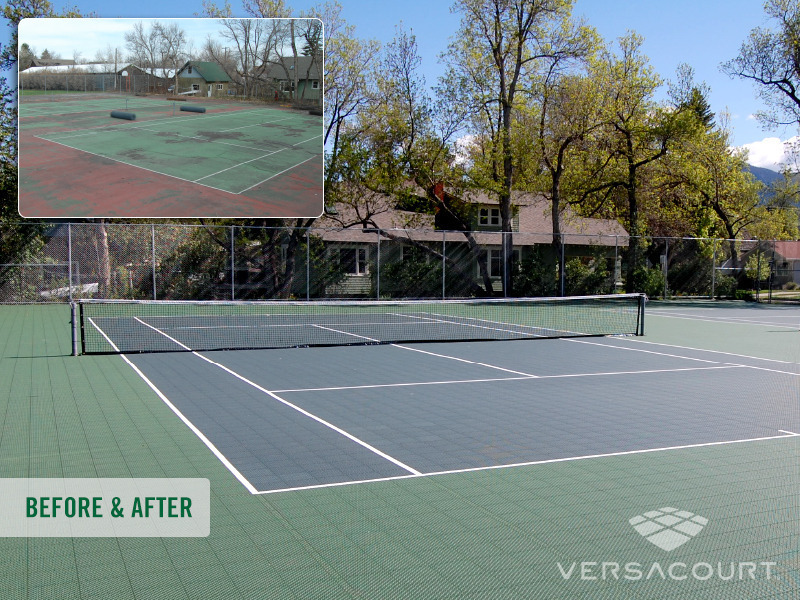 The VersaCourt court tile system incorporates the most recent advancements in technology to ensure a comfortable, safe surface, ideal for tennis courts. The shock-absorbing, suspended surface reduces playing fatigue, provides better ball rebound and exceptional game performance. 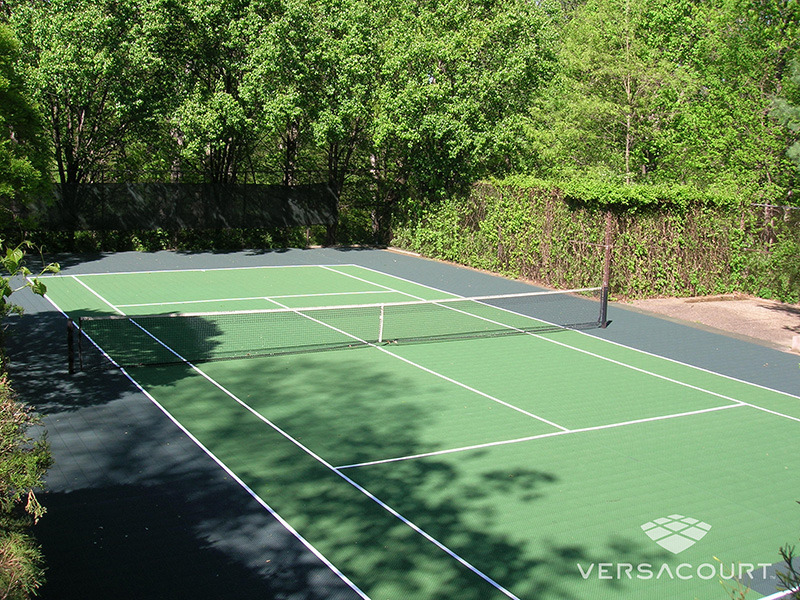 VersaCourt offers 2 standard tennis court sizes, but can easily accommodate custom sizes or courts for other racket sports like badminton and pickleball. 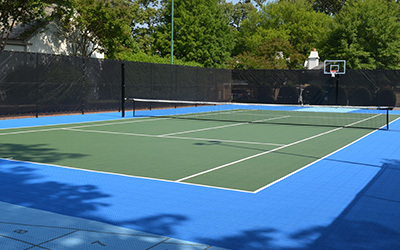 For smaller courts, we can utilize our rebounder to create a practice area while larger courts are often design to accommodate multiple sports or games. 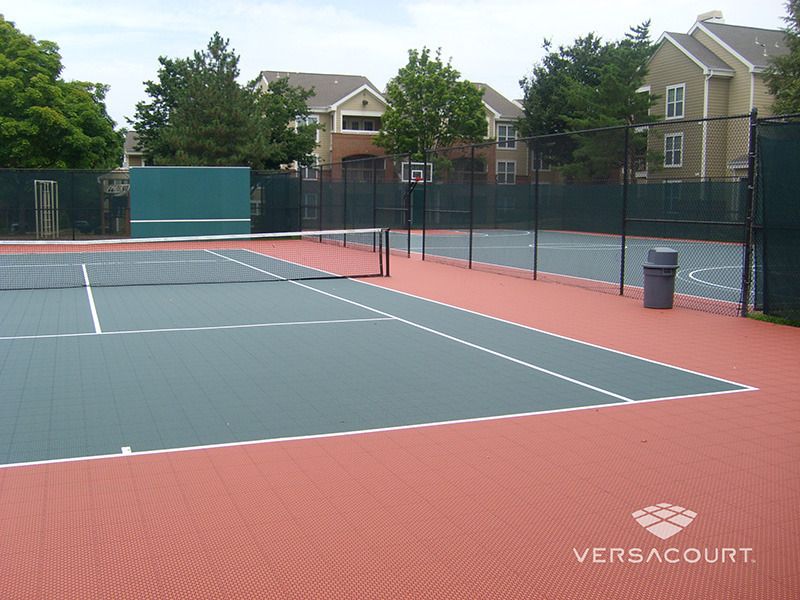 We can handle all elements of the installation process from excavating the land and pouring the base to assembling the court tile. 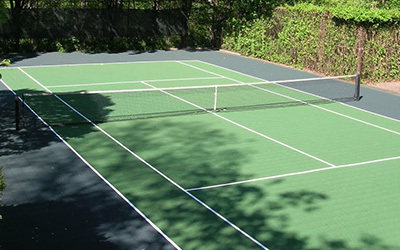 We also offer a wide variety of ancillary products including lighting, nets, ball containment fencing and rebounders for your tennis court.